Guinea pigs, like other companion animals, can develop heart problems. With proper diagnosis and treatment, your pet can live a longer and more active life. 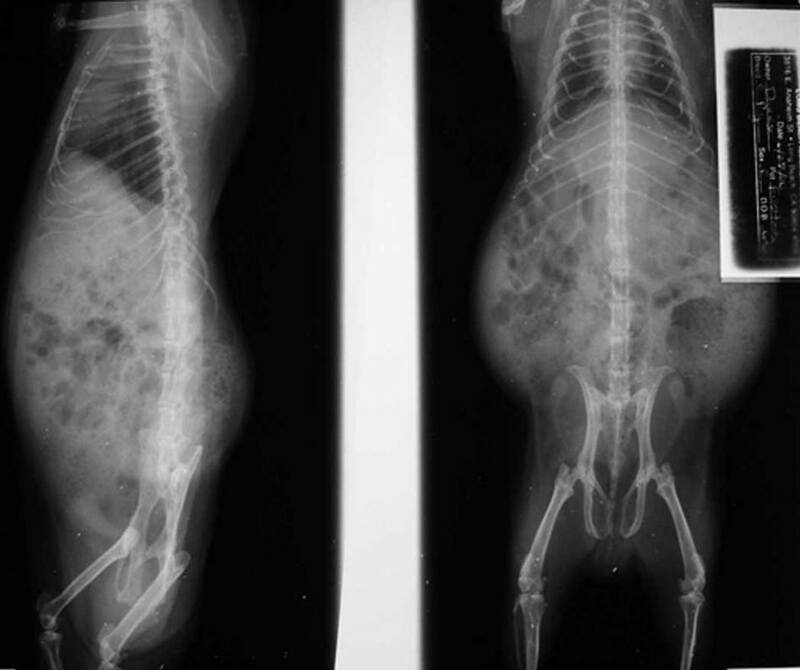 Guinea Pig Heart Problems - William V. Ridgeway, Jr., D.V.M. 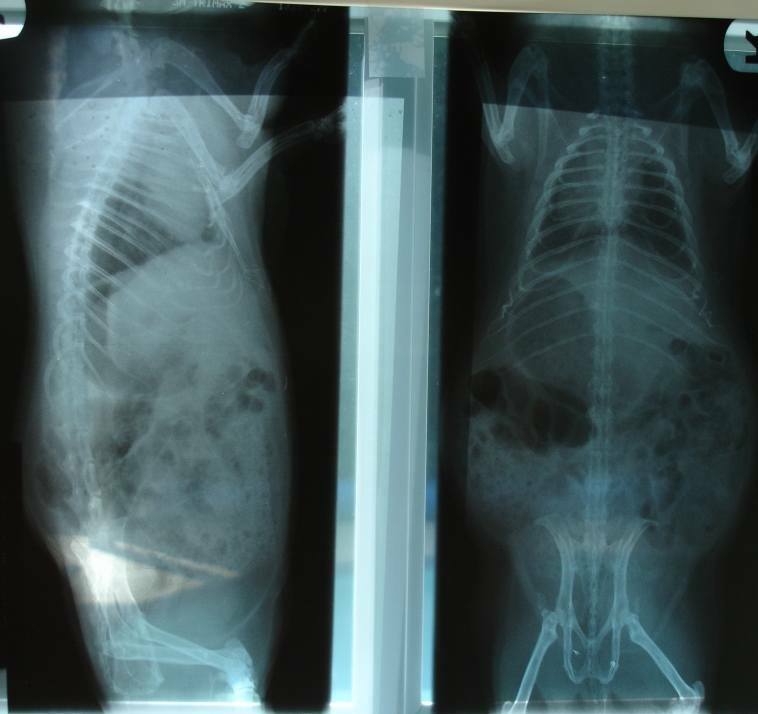 "Dilated Cardiomyopathy and Congestive Heart Failure in a Guinea Pig"
Little information has been published concerning heart problems in guinea pigs. 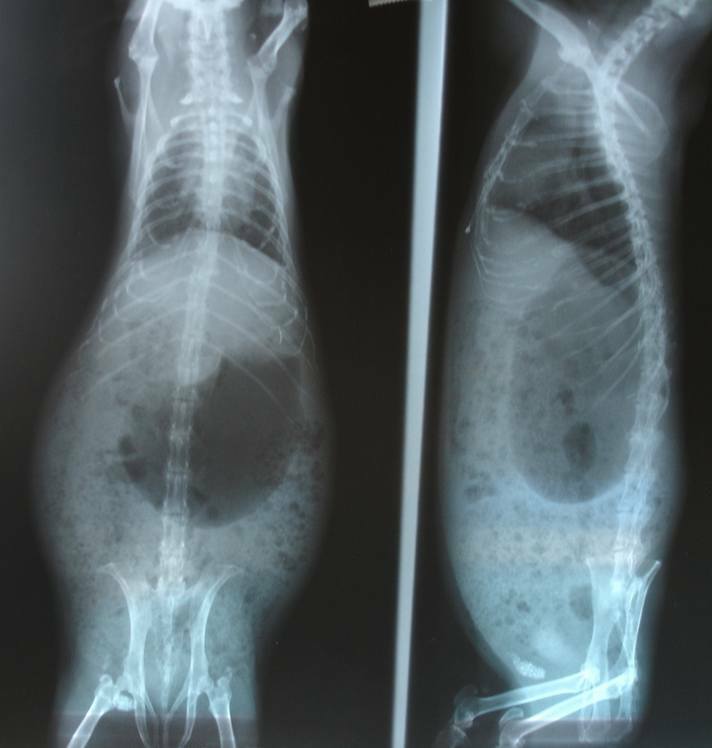 Katherine Quesenberry and James Carpenter (see References) devote a chapter to heart problems in rabbits in an article contributed by Sharon M. Huston DVM. She describes several cardiac diseases and their management (congestive heart failure (CHF), congenital heart disease, arrhythmia, myocardial disease, valvular disease, and vascular disease). 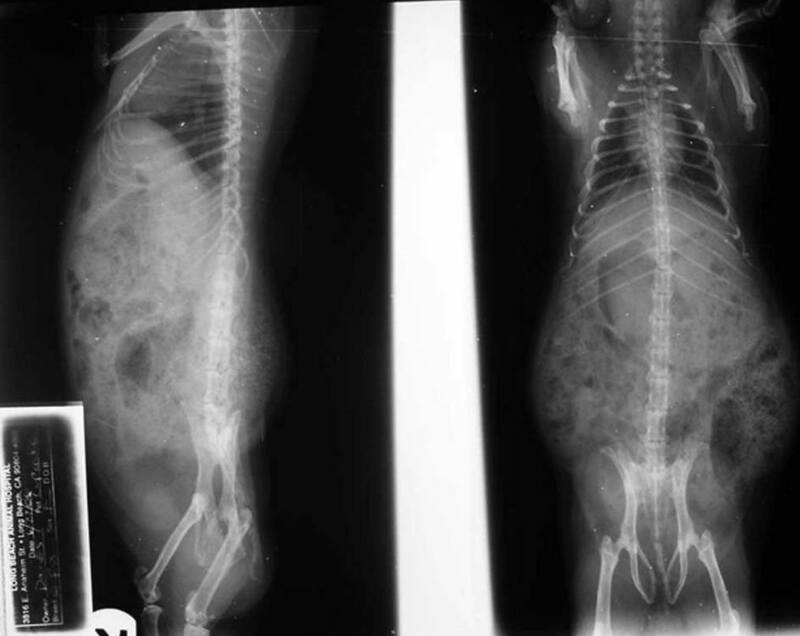 These same diagnostic methods can be used to evaluate guinea pigs. A thorough examination and history is always necessary to rule out other serious medical conditions like sinus infections, tumors, and dental disease. Some conditions may be interrelated. For example, difficulty breathing resulting in weight loss from eating less, leading to an overgrowth of the teeth. Your vet will listen to the heart with a stethoscope and note any abnormal sounds like arrhythmia or murmurs. He/she will observe respiratory rate and examine the mucous membranes. Pale or cyanotic membranes may indicate poor blood circulation. 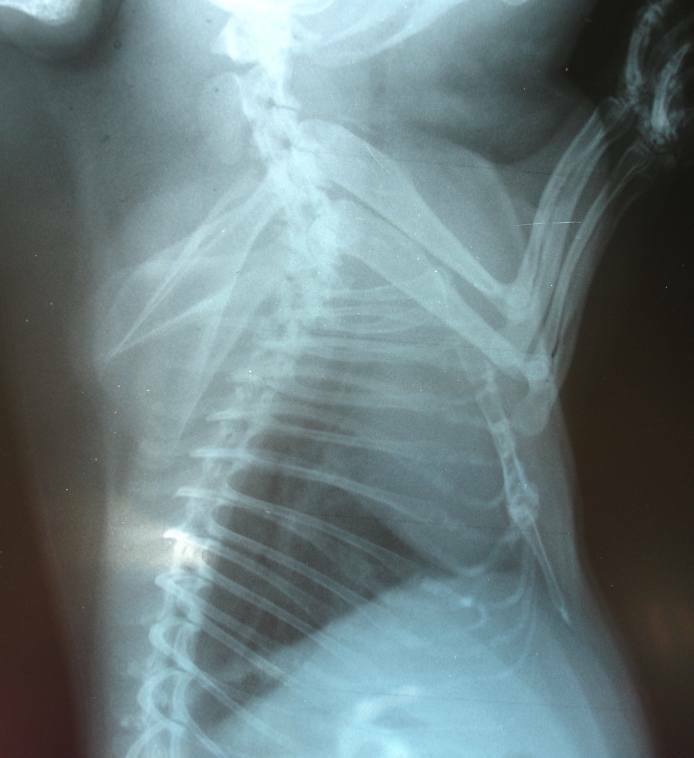 X-rays: Radiographs show the thoracic cavity, relative size of the heart, and the presence of fluid in the pericardium (the fibrous sac that surrounds the heart) and/or lungs. They can help the vet distinguish between CHF and respiratory disease. Echocardiogram (ECHO): An echocardiogram is useful for diagnosing heart conditions, evaluating function, determining severity, and monitoring improvement. An ECHO produces images of the valves, the strength and thickness of the heart muscle and the size of the chambers. Unfortunately, there are no published ECHO norms for guinea pigs. Readings from a dozen healthy anesthetized guinea pigs by Cetin and Cetin are included on this page. If your vet does not have the necessary equipment to evaluate your pet's heart, they can still refer you to a competent radiologist for an ECHO. SIGNS: Early signs may be loss of energy, a tendency to move less. The causes of DCM are unclear and it is not known precisely how diet and genetics contribute. 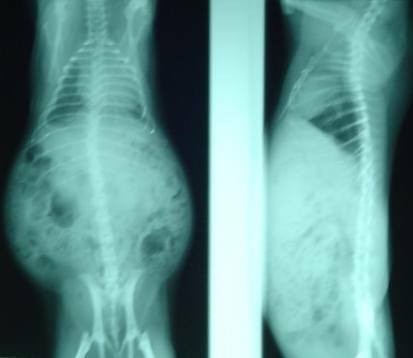 Several guinea pig owners have reported heart problems running in families, which would seem to indicate genetics can play a part. Treating mild or subclinical cases of DCM with Ace inhibitors should slow progression of the changes leading to heart failure. Heart disease is not curable but only managed. As time goes on, your pet may require higher dosages and/or other medications. Vetmedin is another drug in use. Pinta, who has had several guinea pigs with various heart issues, writes, "Our standard dose, regardless of size of pig, is 0.3125 mg (1/4 of an 1.25 mg capsule) daily." As noted in the case study below, Jennifer Franklin and David Sanchez-Migallon Guzman advise that animals showing signs of respiratory distress be evaluated not only for respiratory disease, but for heart disease as well. X-rays and echocardiography can confirm a diagnosis of cardiac disease. 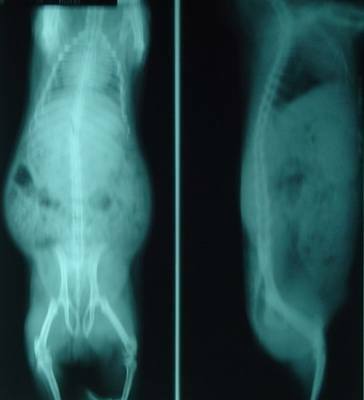 Common among guinea pigs is the finding of enlarged hearts. Symptomatically they present as less active, poor doing, lethargic, and often produce a 'hooting' sound. 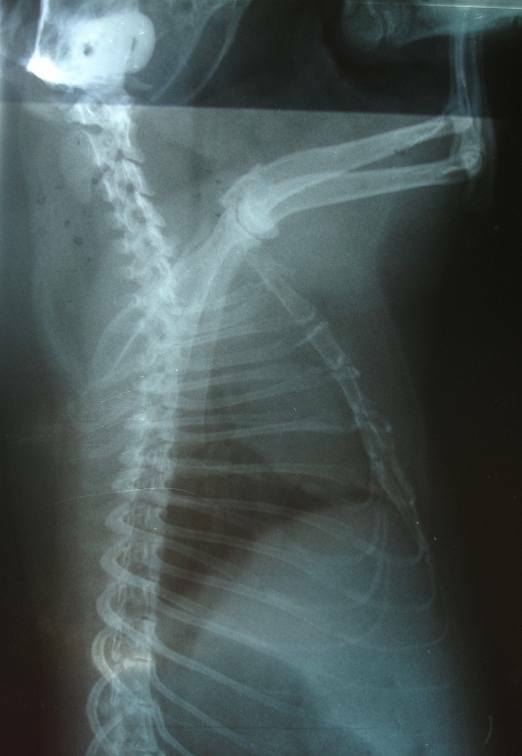 Though veterinarians are quite skilled in assessing thoracic radiographs (X rays), some of the exotics can present a challenge in evaluation due to their species variation (size, shape, positioning of heart). Guinea pigs are often misdiagnosed on evaluation of cardiac disease. 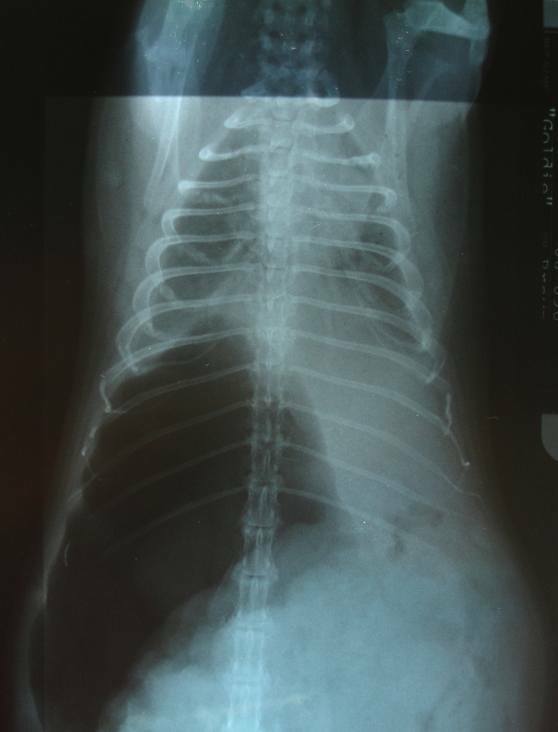 The heart should generally appear to be less than 60% of the total thoracic cavity in both lateral (side) and ventrodorsal (front) radiographic views. Cardiac ultrasound, EKC, and blood pressure tests can be performed to better determine the type of heart enlargement. 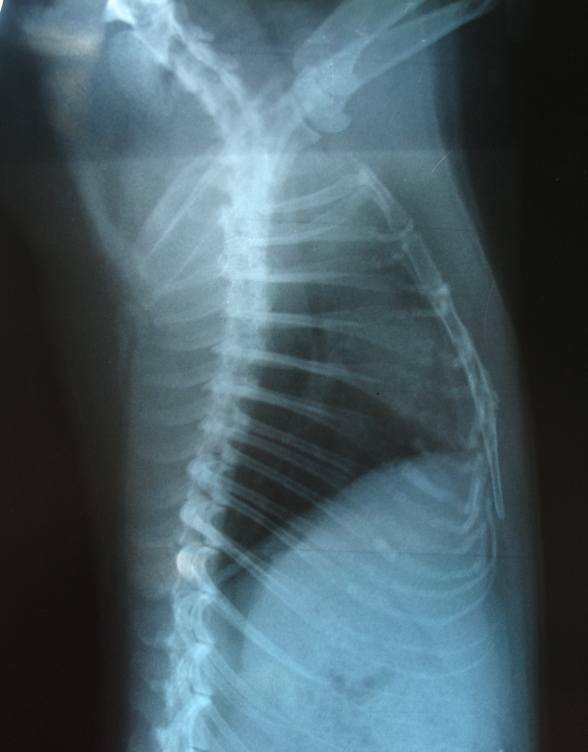 However, most are treated on the basis of radiographs alone. Popular among treatment is Lotensin, dosed approximately 1mg per guinea pig (0.75-1.25mg per pig) twice daily for 10-30 days as a trial for clinical response. I have been treating guinea pigs since 1990 - in fact in veterinary school I did my grand rounds project on a guinea pig with bladder stones that I helped treat while working in New York. Heart disease in guinea pigs has become more and more common, but unfortunately it is not readily addressed in many text books. In particular heart disease in guinea pigs is not even mentioned in the text book - Ferrets, Rabbits, and Rodents: Clinical Medicine and Surgery, 2nd edition, authored by Katherine E. Quesenberry and James W. Carpenter. 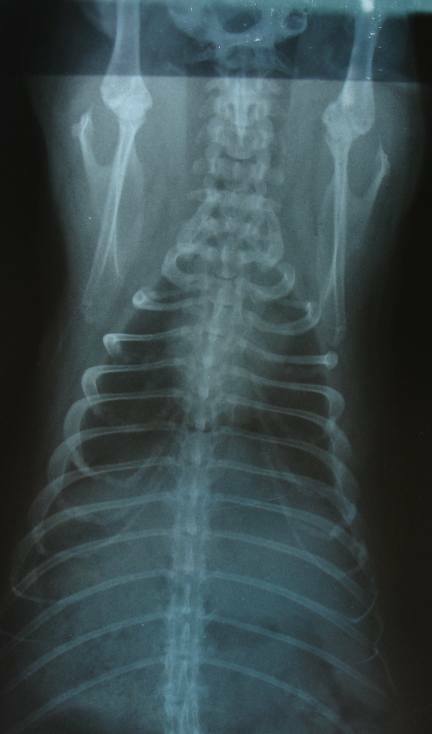 Clinical signs in guinea pigs can mimic upper respiratory infections. I have done radiographs, ECG, and ultrasounds on guinea pigs to diagnose heart disease. Benazepril (Lotensin®) at 1 mg/kg orally every 12 hours. Furosemide (Lasix®) at 2 - 5 mg/kg orally every 12 hours (for cardiogenic or pulmonary edema). Typically a positive response will be seen in 3 - 5 days. Signs: frequent morning hooting, generally followed by coughing, 'pancake' pig - lay in one spot, rarely moved, underweight. Treatment: lasix 3mg twice daily, lotensin 1mg twice daily. After 16 days was popcorning and running around her cage. Signs: hooting and rattling, good weight, relatively active. Treatment: lasix 3mg twice daily, lotensin 1mg twice daily. Activity level increased, weight increased. Signs: lack of muscle tone, content to lie on her back when held (abnormal for a prey animal), very quiet demeanor both in her cage and being held. Treatment: lotensin 1mg twice daily for 3 days. Her activity level declined slightly, so the dosage was reduced to 0.8mg twice daily. Muscle tone improved, activity level increased, less content to be placed on her back. Signs: Extremely quiet for a young guinea pig even as a baby. At 1 year started to rattle and hoot occasionally. Treatment: lotensin 1mg twice daily, and lasix 3mg as needed. Signs: Quiet boar, slept very soundly. 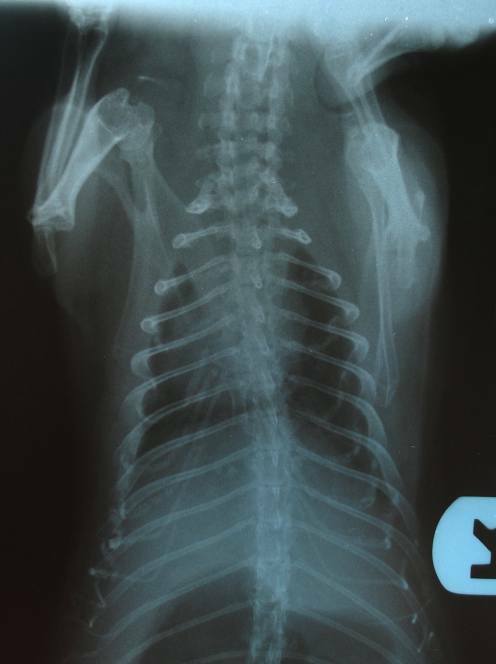 Gurgled badly after neuter surgery, recovery was prolonged. Occasionally hooted, weight decreased. Treatment: based on symptoms prescribed lotensin 1mg twice per day for 30-day trial. After 3 doses he was seen popcorning. Signs: Quiet boar, slept very soundly. 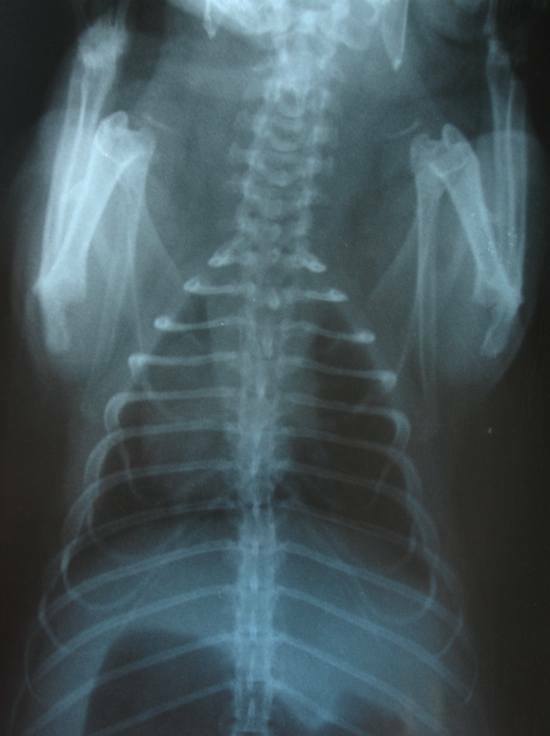 Gurgled badly after neuter surgery, recovery was prolonged, started rattling on a regular basis. Weight started to decrease. Treatment: tried courses of all suitable antibiotics with no success. After several months of no improvement started on lasix 3mg twice daily for 2 weeks, along with lotensin 1mg twice daily. Was able to discontinue lasix. Weight started to increase and general condition improved. 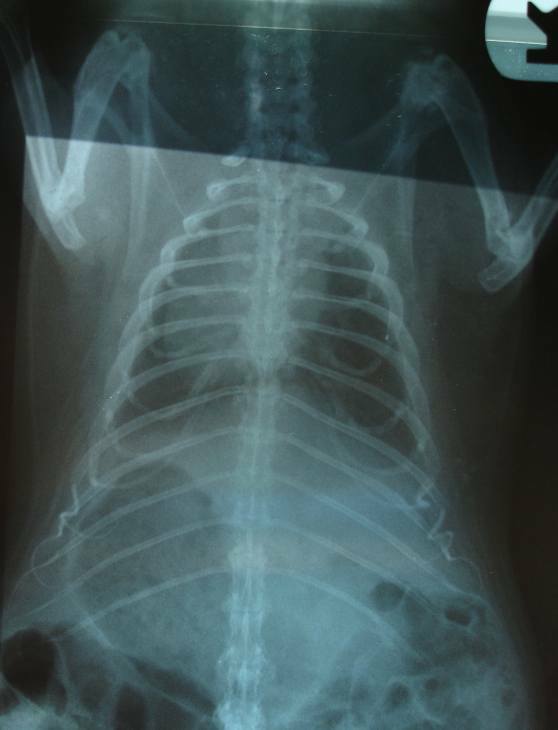 Jennifer Mosier Franklin, DVM and David Sanchez-Migallon Guzman, Lic en Vet, MRCVS treated a one year old male guinea pig that they diagnosed with DCM and CHF. 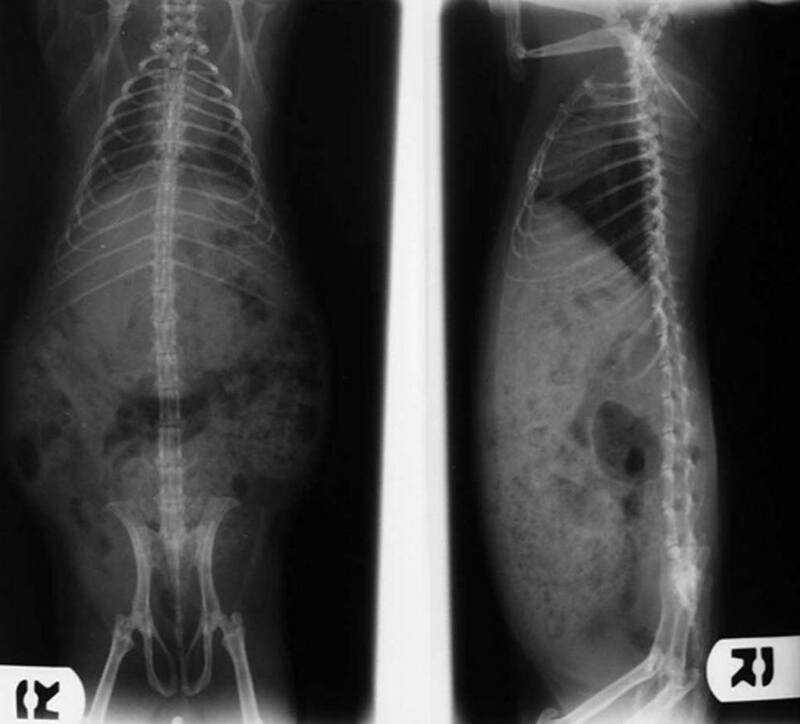 An article describing treatment appeared in Exotic DVM. 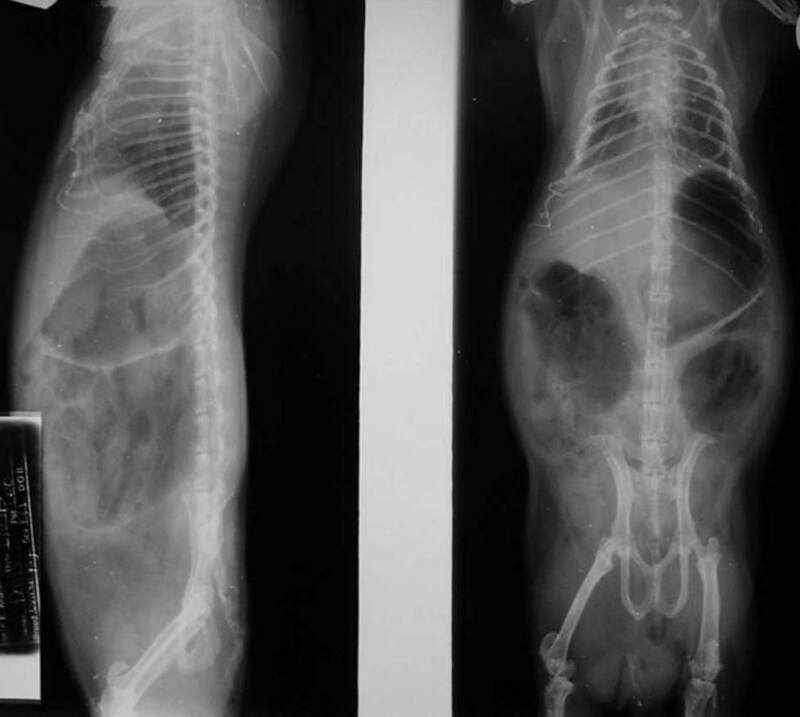 PATIENT: A 952 gram well cared for skinny living in a large cage with a companion. SIGNS: less active and had labored breathing, especially when exhaling. 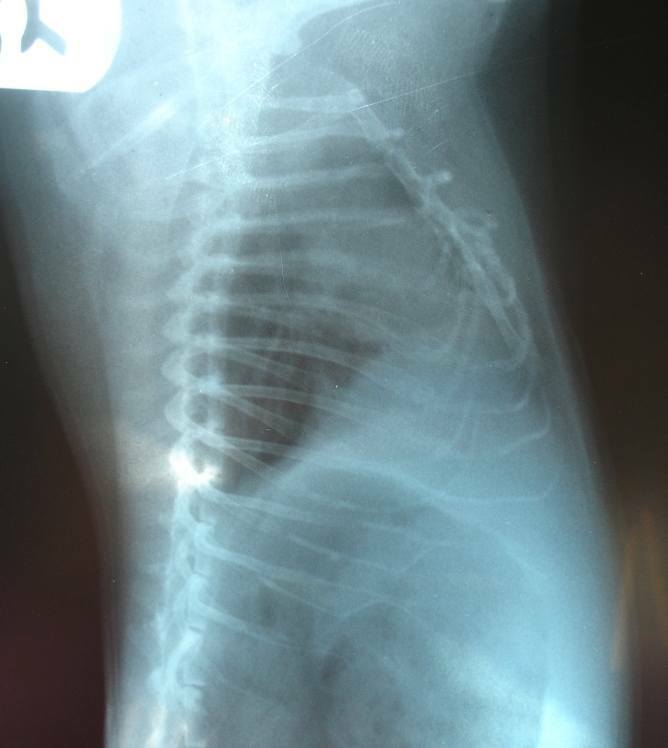 DIAGNOSTICS (X-ray): X-rays showed "a loss of cardiac silhouette, an increased interstitial pattern throughout all lung fields and suspected pericardial effusion [excess fluid in the pericardium, the sac surrounding the heart]." TREATMENT: The guinea pig was put on Terramycin (ophthalmic ointment) for the persistent right eye discharge (this had been going on for some time) and Baytril. NINE DAYS LATER: the pig was down to 909 grams and had mild diarrhea. A careful examination with a stethoscope revealed slight crackling in one lung. DIAGNOSTICS (echocardiogram #1): Following an echocardiogram to evaluate heart function, the guinea pig was diagnosed with right-sided congestive heart failure (CHF). "The echocardiogram revealed pericardial effusion and a paradoxical septal motion; hepatic vessels were also distended." TWO DAYS LATER: the guinea pig was down to 862 grams. DIAGNOSTICS (echocardiogram #2): Tufts University School of Veterinary Medicine (TUSVM) performed a second echocardiogram (with no anesthesia) resulting in a diagnosis of dilated cardiomyopathy (DCM) and CHF. TREATMENT: The furosemide dosage was increased to 5 mg/kg PO q12h, and treatment with enalapril was started (0.3 mg/kg PO q12h). 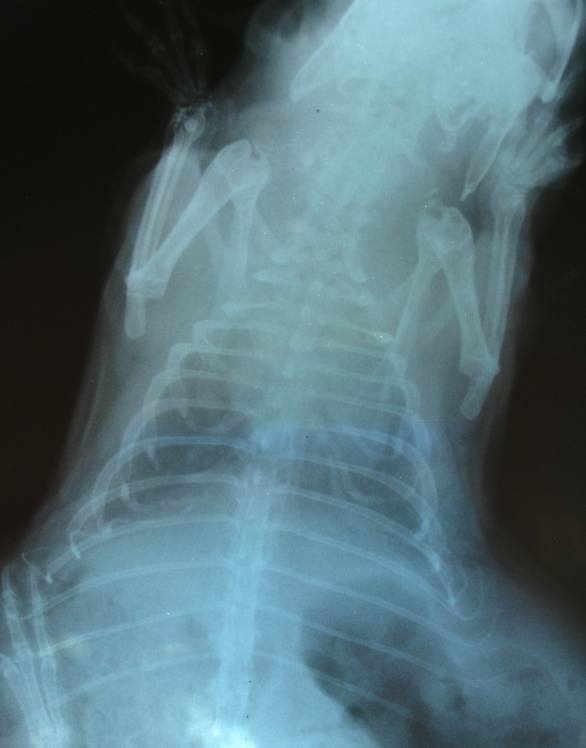 ONE WEEK LATER: the guinea pig, now down to 787 grams, is still having difficulty breathing (flared nostrils, extended neck, abdominal movement from labored breathing) and both lungs crackled. Eye discharge thick, white and pasty. 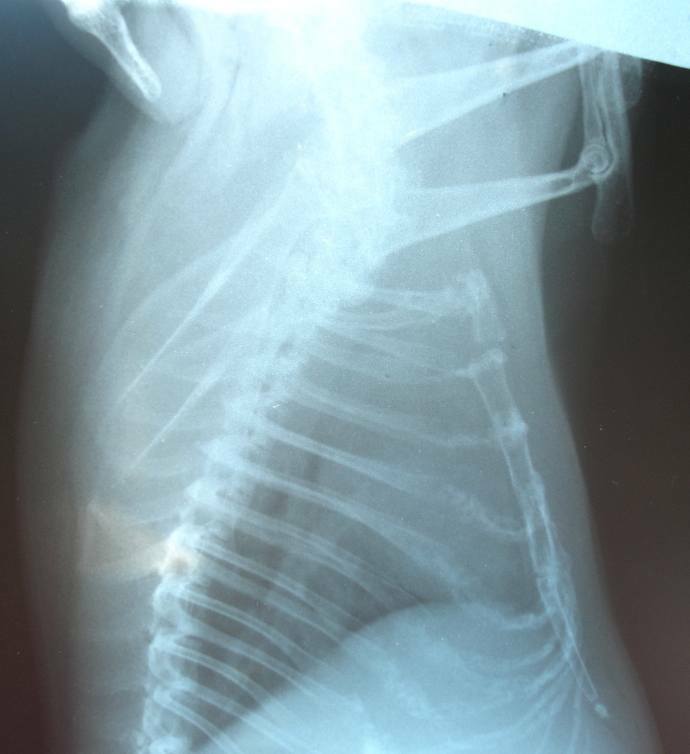 Owner stated that the guinea pig's behavior had not changed during the preceding week. The guinea pig has now lost almost 6 ounces. DIAGNOSTICS (echocardiogram #3): A third echocardiogram was performed. "Pericardial effusion and left atrial enlargement were still present on the echocardiogram, but the heart function had improved based on an increase in the LVSF% from 12.5% to 28.3% "
TREATMENT: Furosemide and enalapril continued at the same dosages. The owners (who had moved out of state) noted after 5 weeks of treatment, the guinea pig was doing well and his breathing was nearly back to normal. Because very little information on guinea pigs could be found, they performed echocardiography on an apparently healthy 1-year-old male guinea pig and also used the values determined by Cetin N, Cetin E, Toker M in 12 healthy, anesthetized guinea pigs. Variations from the mean confirmed their diagnosis of DCM. 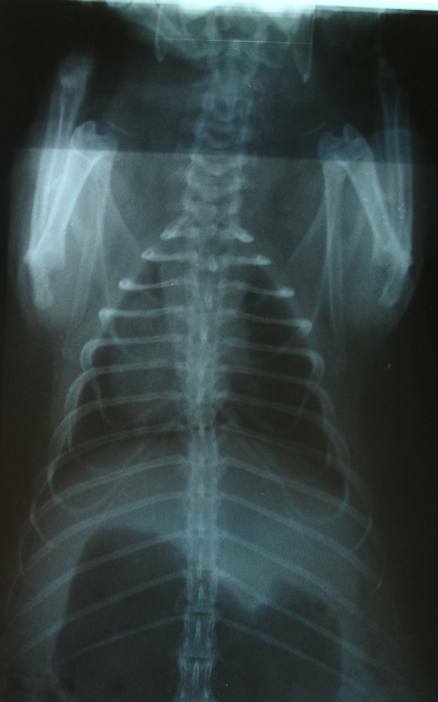 The ACE inhibitors, which also serve as mild diuretics and vasodilators, have been demonstrated to improve clinical signs and prolong survival in dogs with DCM....Although no studies have been done on the treatment of CHF in guinea pigs, furosemide and enalapril used in this case resulted in a significant improvement in clinical signs and a measurable improvement in LVSF%." The authors found very little information available on guinea pigs and heart disease. They hope to see a study establishing norms (heart chamber size and heart function) and a normal range of measurements for guinea pigs to aid in diagnosis and early detection. 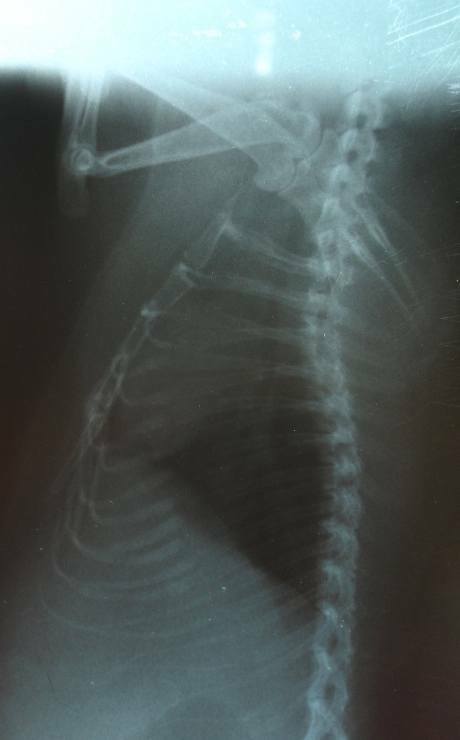 They advise that animals showing signs of respiratory distress be evaluated not only for respiratory disease but for heart disease as well. X-rays and echocardiography can confirm a diagnosis of cardiac disease. 1. Cetin N, Cetin E, Toker M: Echocardiographic variables in healthy guinea pigs anesthetized with ketamine and xylazine. Lab Anim 39:100-106, 2005. 2. Cox I, Haworth P: Cardiac disease in guinea pigs. Vet Rec 146(21):620, 2000. 3. 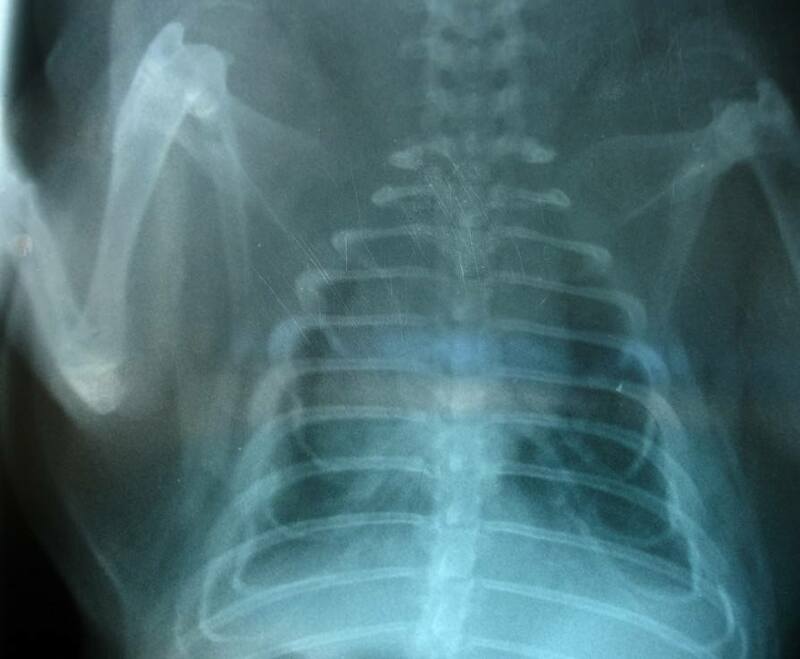 Dzyban LA, Garrod LA, Besso JG: Pericardial effusion and pericardiocentesis in a guinea pig (Cavia porcellus). J Am Anim Hosp Assoc 37(1):21-26, 2001. 10. Nelson RW, Couto CG: Diagnostic tests for the cardiovascular system. Small Animal Internal Medicine 3rd ed. Elsevier, 2003, pp 36-43. Cetin N, Cetin E, Toker M: Echocardiographic variables in healthy guinea pigs anesthetized with ketamine and xylazine. Lab Anim 39:100-106, 2005. "Range derived from mean ± 1 SD; animals anesthetized in most instances. Abbreviations: AO, Aorta; d, diastolic; IVS, internal ventricular septum; LA, left atrium; LVID, left ventricular internal diameter; LVPW, left ventricular posterior wall; s, systolic." "There is little published information on heart disease in guinea pigs. While murmurs are not uncommon, it is difficult to classify cardiac conditions. Post-mortem examination at the author's practice has revealed a "mixed bag" of conditions ranging from valvular disease to neoplasia." Heart Disease Summary - Long Beach Animal Hospital; a discussion of different heart problems in dogs. Dilated and Restrictive Cardiomyopathies - Corinne Bott-Siverman, MD ; a discussion of specific heart problems in humans. Cardiology - links to general heart problems in humans. ECHO - Echocardiogram (Cardiac Ultrasound).